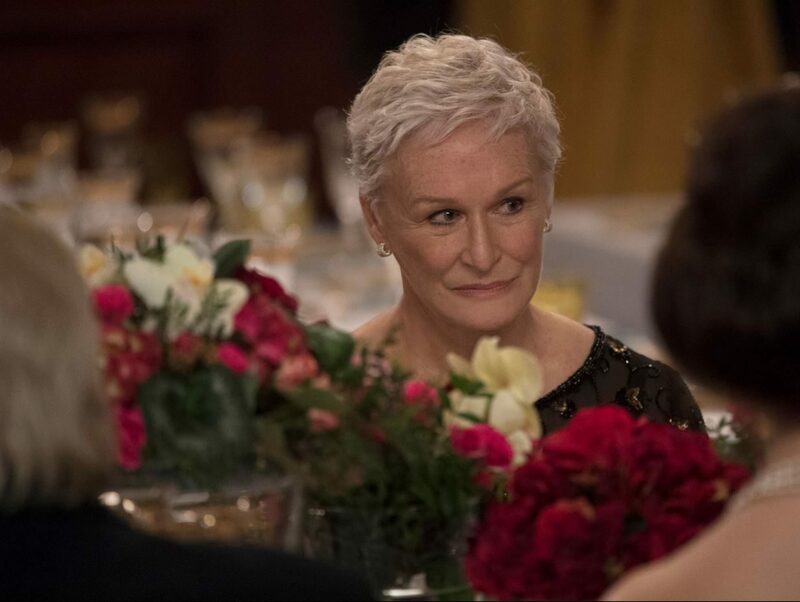 The Wife’s story of female empowerment has tapped into the cultural zeitgeist in a way its star Glenn Close experienced with Fatal Attraction. She talks to Screen about serendipity, connecting with an audience and the power of a close-up. Glenn Close is not surprised The Wife has struck a nerve with audiences. “When we shot the film, there was no such thing as the #MeToo movement. By the time it was released, #MeToo was starting to send ripples… you can’t really plan that,” she says. The Wife tells the story of Joan Castleman, a woman who reaches breaking point just as her husband Joe (Jonathan Pryce) is about to receive the Nobel Prize for literature. The story’s themes of a long-silenced wife speaking up for herself could have been perfectly timed to the contemporary mindset. She knows it is “incredible serendipity” The Wife landed at that moment. After all, writer and executive producer Jane Anderson and producer Rosalie Swedlin first started planning the project — based on Meg Wolitzer’s 2003 novel of the same name — 15 years ago. Close attached herself to star in the film about five years ago, and it was her involvement that helped get it made (although even her star power could not get it greenlit immediately). Finally, it came together as a UK-Sweden co-production from Anonymous Content, Meta Film, Tempo Productions, Silver Reel and Spark Film and Television. Close had the final say in hiring Swedish director Björn Runge, who made his English-language debut with The Wife. “He was one of the best directors I’ve ever worked with,” she says, praising “the atmosphere on the set, the work we did before the shoot, his trust in me and my trust in him. “The great directors know where to put the camera to record what that actor is doing, and that keeps the connection with the audience,” she explains. Close is also effusive about Pryce. “I was so excited to work with him. We had a great partnership,” she says. The actress was grateful for a week of pre-production discussions with Runge, Anderson and Pryce, as well as Annie Starke (Close’s daughter) who plays Joan in her younger years. Through Starke’s performance the audience sees Joan’s literary ambitions, which were abandoned to support her husband’s while she became the wife and mother and he became the successful writer. Before The Wife, Close had been Oscar-nominated for Albert Nobbs, Dangerous Liaisons, Fatal Attraction, The Natural, The Big Chill and The World According To Garp. Her seventh nomination feels like her time has come, although she is nominated in a year full of strong contenders including Lady Gaga for A Star Is Born and Olivia Colman for The Favourite. And she might just be ready to make her directing debut. “It’s a script I want to write or co-write,” she says, adding that she will have to “disappear” for a few months to have time to concentrate on such a project.